And you don’t even have to ask nicely to get them. The Cadillac Escalade SUV seems to have missed out on the strong demand experienced by most of its rivals, with the fourth quarter of 2018 showing a 15 percent decrease in sales. 2019 hasn’t gotten off to a stellar start either so Cadillac is offering some lucrative discounts on select 2019 Escalade models to stop people buying all those damn Lincoln Navigators. The Escalade has a long history of doing well in this segment but there are now a lot more rivals to contend with these days, such as the aforementioned Navigator as well as the Infiniti QX80 and a number of European offerings too. To right this wrong, Cadillac is offering three financial incentives on its 2019 Escalade and Escalade ESV models for the month of March. Customers will be offered $3,000 towards the purchase of a new model when financing through GM Financial or $2,000 if they plan to lease instead. The biggest deal is offered to those buying a new Escalade outright, these customers will get $5,000 off the purchase price. These offers are for US customers only and may not be available in conjunction with other offers, they will also have to take delivery by 1 April. The pricing for a 2019 Escalade in Standard trim is $76,490 (including destination charge) rising to $98,590 for a Platinum trim level Escalade ESV. 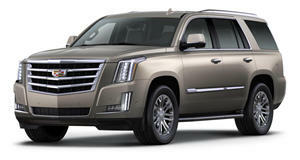 That means that you could drive away in a base Escalade for $71,490, a seemingly decent offer compared to rivals. 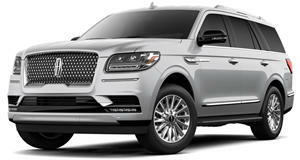 Whether shoppers would rather hold out for the new 2020 Escalade or perhaps go for a Navigator which in Standard trim is only $3,010 pricier, remains to be seen. How Long Could You Live In A Cadillac Escalade For? It's way more comfortable than you think. The Escalade survived unscathed through snow or GM's Chapter 11 bankruptcy without changing, because why should it?